Instead of having them use money that could go to these important retirement expenses to pay for your college education, do them a favor and let them save that money. Not only will it improve their livelihood when they’re no longer working, but it’ll also remove the burden of you having to support them in retirement should something go wrong. It’s important for you not to accept your parents’ money to pay for college because otherwise, your parents may think of you before themselves. Especially if they’re years away from retirement, they may think they’ll have time to catch up once you’ve graduated and made additional contributions to their retirement accounts. Although the IRS does offer catch-up contributions for those age 50 and over, it’s best for them to contribute the max they can each year in order to take full advantage of compound interest. 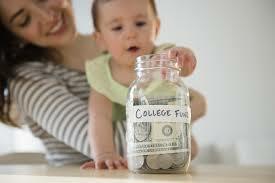 Scholarships – You can land different types of scholarships to receive free money for your education. There are academic scholarships, athletic scholarships, minority scholarships, and community service scholarships to name a few. Grants – If you’re eligible, you can receive gifted funds from the government to pay for college. This money doesn’t need to be repaid. Financial Aid – Make sure you fill out the FAFSA every year so that your college can determine how much money they can give you to pay for college. Like grants, financial aid also doesn’t need to be repaid. Loans – Lastly, you can take out loans from the government as well as private lenders and banks to fund the rest of the educational costs that weren’t met by the scholarships, grants, and financial aid. Loans vary in interest rates and terms. It’s best to get federal loans first because those often come with lower interest rates and have the potential to be forgiven.